Take a look at any newborn baby, all fresh and delicious and new – and the first thing you’ll notice is their soft, plump skin – free of any signs of stress or age. There’s a reason why we refer to people with good skin has having a ‘baby face,’ and there’s a reason why we spend most of our adult lives trying to learn the tricks for reversing the effects of age on our faces. There’s not a single person out there would wouldn’t want to appear more youthful, and have clearer, younger looking skin. One of the most frustrating and obvious signs of aging one might experience years past the ‘baby face’ stage, are brown spots. These spots are flat, and can also appear as gray or black spots, usually occuring on sun-exposed areas of the skin. 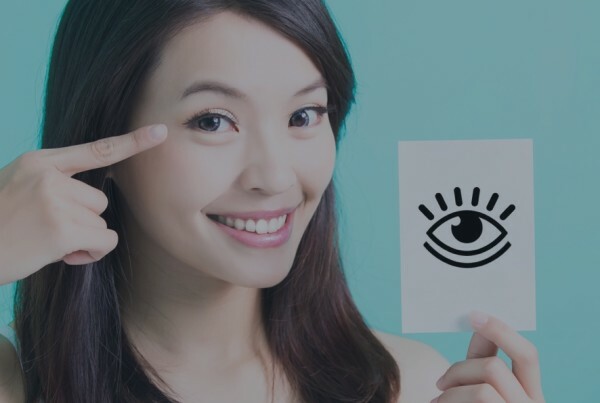 Otherwise known as age spots, sun spots, or liver spots, this is one sign that the years are starting to take their toll on our once-delicate skin that is a bit trickier to reverse than say, wrinkles. And these sneaky little spots of skin discoloration or skin pigmentation will pop up anywhere on your body, from your face, to your shoulders, upper back, forearms and even the back of your hands. And while brown spots are not typically dangerous or cause for concern, they simply cause discomfort in the aesthetics department – and we totally understand. Another reason why we’re loving our new PicoWay laser? Because with PicoWay, we’re saying sayonara to melasma. Melasma is a hereditary, cosmetic skin condition that is influenced by hormonal changes in the body (taking birth control, pregnancy, and menopause) as well as by sun exposure, and also causes those unsightly skin patches. The best way to prevent melasma is to consistently use sun protection (we highty recommend sunscreen by Elta MD) and avoiding hormonal therapy. 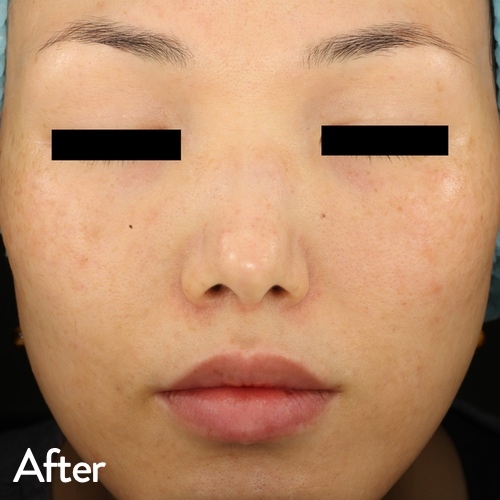 The ideal treatment of melasma is combination of lightening cream such as Skin Medica Lytera and a cosmetic procedure (either chemical peel or laser photo facial, which we offer at our state-of-the-art facility. 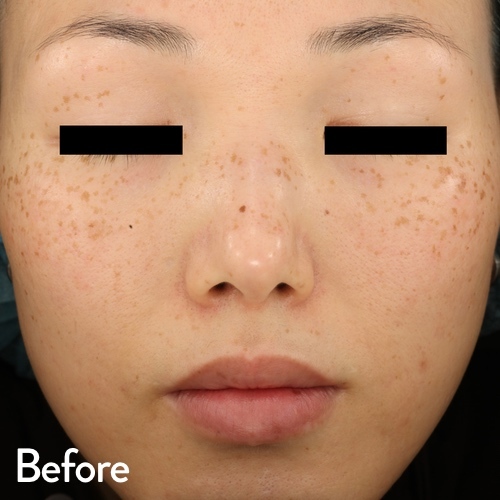 The melasma laser photofacial with Picoway is an optimal way to take care of these stubborn blotches! At Precision Skin Institute, one of the best, full-service dermatology centers in the South Florida area, we not only see many patients who are unhappy with the appearance of these spots on their body – we now have a new way to make these disappear more quickly than you can say, “Check out my flawless skin”! The PicoWay laser is a revolutionary new laser developed by Syneron Candela, and is offering patients who undergo laser skin treatments at Precision Skin Institute, better results in less time. While the PicoWay is also used for tattoo removal, it also widely regarded as one of the best ways to treat and remove skin texture and pigmented skin irregularities, along with reducing signs of aging and sun damage. Interested in learning more about the power of the PicoWay Laser? Visit our blog, or better yet, join us as we celebrate the arrival of the three best lasers for skin treatments in South Florida at our VIP Laser Event on January 26th at 5:30pm. Only at Precision Skin Institute in Davie, where healthy skin means a healthy you. Hey, wait, did you know Precision Skin Institute is now open on Saturdays? That’s right, we’re rolling out the best in #selfcaresaturday treatments, as performed by our expert laser technicians. To book your appointment, click here! Previous PostNew Laser Treatments and How They Benefit Your Skin! Next PostTriniti Plus. Because Three is the Magic Number.